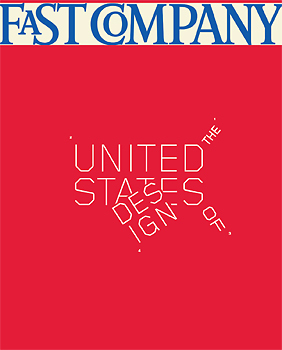 We asked three hall-of-fame graphic artists, and one cult “commix” artist, to create cover art inspired by the issue’s theme, “The United States of Design.” The results drew inspiration from Ellis Island to American Cowboys. 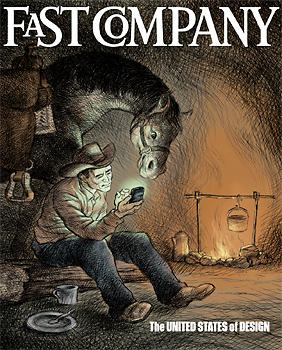 The idea struck designers Gail Anderson and Jeff Rogers as they passed digital files back and forth to their intern. Even design, they realized, is “a beautiful assembly line,” says Anderson. 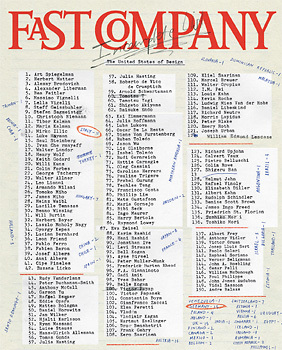 So they made their own version of the American classic (see sidebar), and it become one of four covers created for this month’s issue of Fast Company. 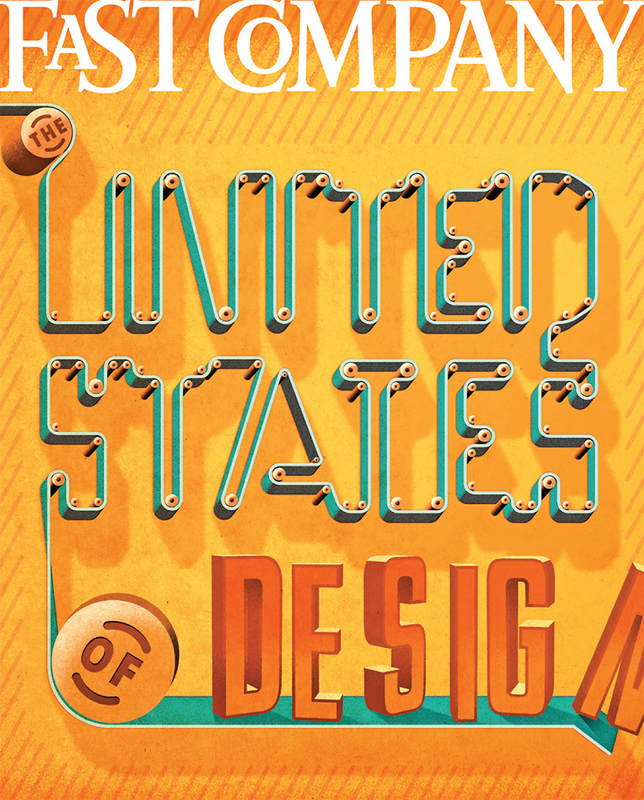 The editors of Fast Company asked three hall-of-fame graphic artists, and one cult “commix” artist, to create cover art inspired by the issue’s theme, “The United States of Design.” The results drew inspiration from Ellis Island to American Cowboys. Place is important to Pulga. 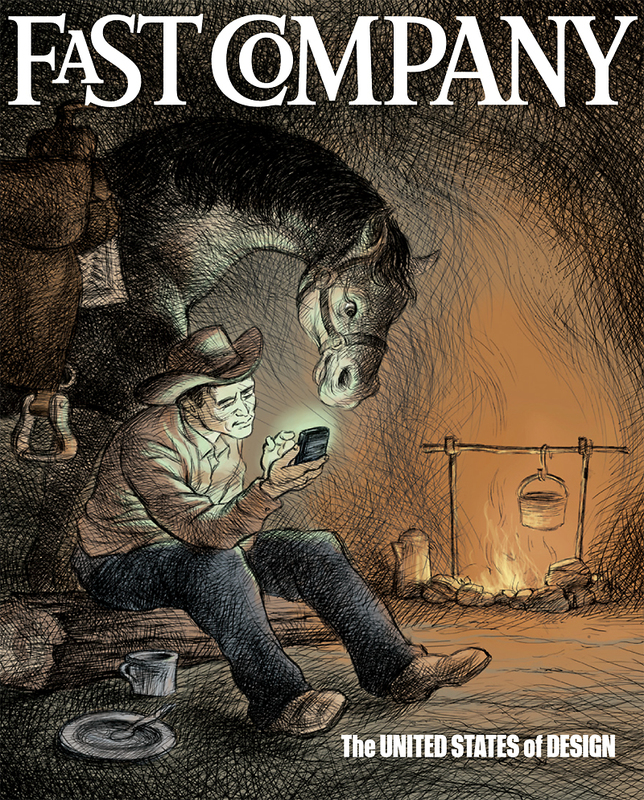 “My work in general, and specifically my comics, tries to mix my South American sensibility with my North American up-bringing,” he explains. 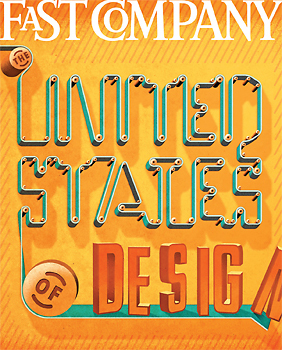 That diversity and variety within a single artist’s work reflects what Pulga finds particularly American about U.S. design. In an earlier version of the same idea, the Statue of Liberty held an iPad and Starbucks cup. “Thankfully,” Pulga says, that idea was rejected. 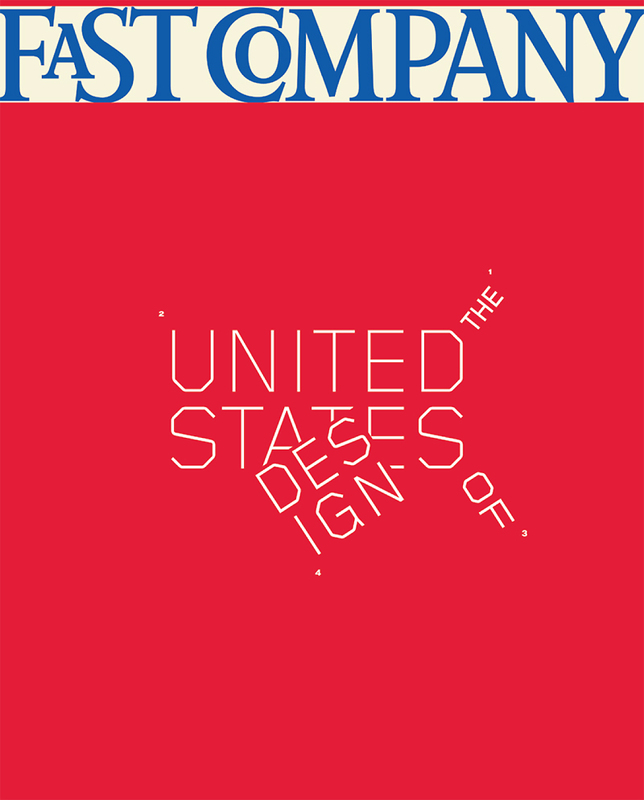 Freedom of speech–what better way to encapsulate the glory of American design. 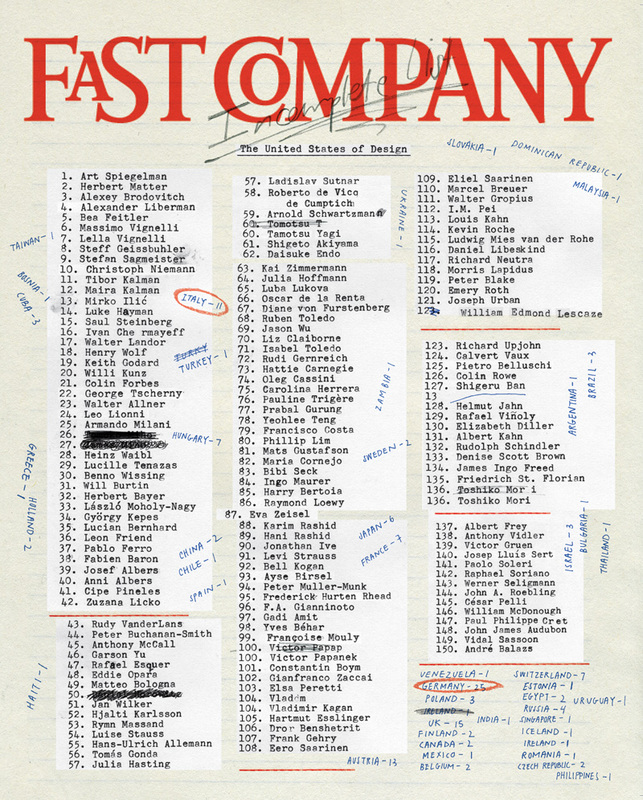 A version of this article appeared in the October 2011 issue of Fast Company magazine.